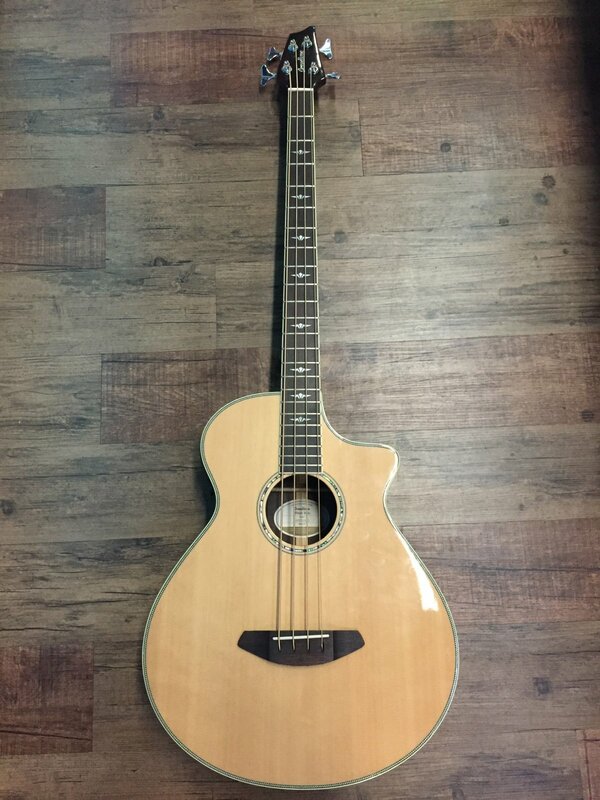 This is an amazing bass in excellent condition. For astoundingly great voicing on the stage, the highly resonant and full-sounding jumbo body delivers big acoustic depth and presence. The Stage Bass is an all solid tonewood 4-string that takes full advantage of Breedlove’s unique bass bracing, featuring the Breedlove Bridge Truss system, which relieves stress on the guitar’s top while providing additional sustain and balance. This highly resonant and full-sounding instrument was designed with an extra-deep jumbo body that sounds as great acoustically as it does plugged in.